You'll find plenty of places to visit near Honolulu: Kailua Beach Park (in Kailua), Haleiwa (Sunset Beach Park & Waimea Bay) and Pu’u O Mahuka Heiau State Monument (in Pupukea). 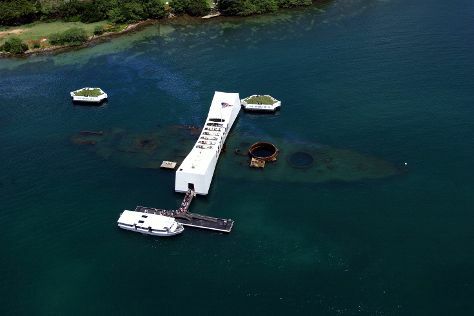 There's much more to do: explore the different monuments and memorials at USS Arizona Memorial, explore and take pictures at Diamond Head State Monument, contemplate the waterfront views at Hanauma Bay Nature Preserve, and browse the different shops at Ala Moana Center. To find traveler tips, more things to do, other places to visit, and tourist information, go to the Honolulu online tour builder . If you are flying in from India, the closest major airports are Daniel K Inouye International Airport and Kahului Airport. In December, daytime highs in Honolulu are 32°C, while nighttime lows are 24°C. Finish your sightseeing early on the 28th (Fri) so you can travel back home.